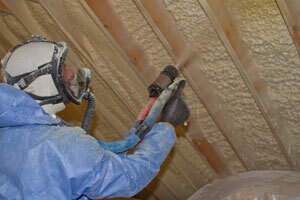 Tru-Soft cellulose insulation is made from recycled newspaper treated to resist combustion, insects and mold. It’s often blown into attics as an insulation upgrade, but it can also be blown into wall and floor cavities. The principles of heat flow are very straightforward- heat always will transfer to the areas where it is depleted. Unfortunately, this means that the seasons work against us. In the winter, heat will naturally want to travel from the inside of the home to the outside. The opposite effect will occur in the summer; the hot and humid summer heat will try to work its way into your home. With proper insulation, you can significantly diminish the flow of heat throughout the home, which will lower your energy costs. Bolster-DeHart, Inc. is a full-service insulation contractor, and as such offers high quality home insulation services to dramatically improve the performance of walls, basements, crawl spaces, and garages. If you're interested in any of our expert insulation services, call or contact Bolster-DeHart, Inc. online to schedule a Free Estimate. We serve all of the Greater Pittsburgh area, including Bethel Park, Gibsonia, Monroeville, Allison Park, Mckeesport, Gibsonia, Mars, Coraopolis, Aliquippa, and the neighboring areas. 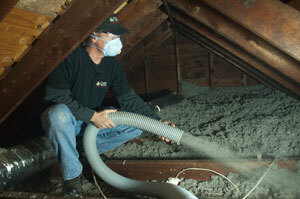 Improve efficiency and increase comfort with an attic insulation upgrade. Insulate the floor above the garage to improve the comfort of the living space. 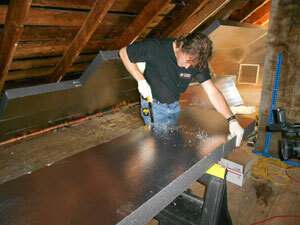 A sealed and insulated crawl space will improve air quality and home comfort. Save money, increase comfort, and improve air quality throughout the home. Minimize wasted energy and cold drafts with upgraded wall insulation. Proper air sealing will promote the functionality of insulation throughout the home. We offer Free Estimates and inspections for any insulation service! Bolster-DeHart, Inc. proudly services the areas of Gibsonia, Monroeville, Bethel Park and nearby. If you are interested in upgrading your existing insulation or would like new insulation installed, call us today at 1-855-262-8724 for a free estimate!